1. Honesty in government. We haven’t had an honest president since the great Jimmy Carter. 2. Sanders fights for main street, and always has. Hillary fights for Wall Street and large corporations, and always has. 3. Sanders has been completely honest with us. 4. Sanders will do no harm, while Hillary is chomping at the bit to do Wall Street’s bidding, which means screwing us over. 5. Sanders will try to restore the American dream, while Hillary will continue to do the bidding of Wall Street and continue policies that continue the American nightmare of the last thirty-five years that has seen record corporate profits, and massive redistribution of income from the 99 to the 1 percent so much that the middle class has been reduced from 61 percent of all adults to 50 percent today. 7. How’s that globalization thing going for you? The US middle class has shrunk, and so has the income of the 99 percent. The 99 percent earned 92 percent of all income produced in the USA in 1980, and now that figure is down to 67 to 77 percent, depending on whose numbers you use. Hillary has voiced support for the Trans Pacific Partnership (TPP), the largest international income redistribution agreement ever, falsely marketed as a trade agreement, 45 times and said she’s against it twice. Bernie has always said he’s against it. The TPP will ship millions of US jobs to China, and the 1 percent will pocket the difference between the old higher US wages and the new lower Chinese wages via higher corporate profits, surging dividends, and rising share prices. Hillary is for that by a count of 45 to 2. 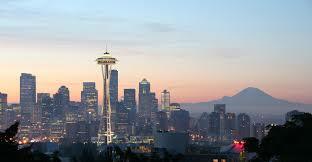 Seattle joins the growing list of cities in the American West that has slapped Monsanto with a PCB lawsuit. PCBs, or polychlorinated biphenyls, is a highly toxic chemical that the company manufactured decades ago. Seattle joins six other cities in filing this type of lawsuit against Monsanto. The complaint, filed on Monday with the U.S. District Court in Seattle, alleges that Monsanto knew that the chemicals were polluting the environment and causing harm to people and wildlife, as Seattle City Attorney Pete Holmes explained to The Seattle Times. Seattle is seeking millions of dollars to pay for the cleanup. Click here for the rest of the story from Ecowatch.com. The corporate wing of the US Supreme Court, a commodity purchased by the Koch Brothers long ago, is likely going to hand down the Koch Brothers influenced, or ordered, decision against public employee unions, just as it destroyed legal precedents with its Koch Brothers influenced, or ordered, decision in the Citizen’s United case. The Koch Brothers wing of the court include Clarence Thomas, Antonin Scalia, John Roberts, Samuel Alito and sometimes Anthony Kennedy. To be fair, the Warren Buffett/George Soros wing of the US Supreme Court are the remaining justices. The object of their decision, of course, is to tip the scales of justice more and more into the hands of their billionaire backers, and away from legal precedents, the Constitution, and the vast majority of US citizens, and the Democratic Party. 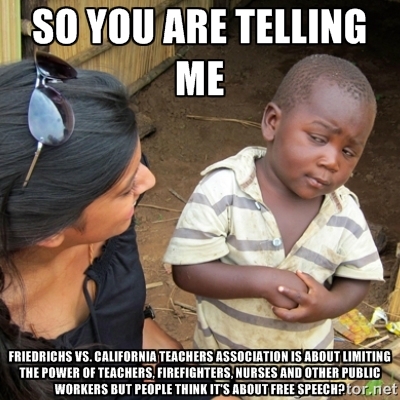 The case is simple enough in the soon to be decided Friedrichs v California teachers Association case. Some union members don’t enjoy paying union dues, but they enjoy the benefits of union/management negotiations. So they want a free ride. “Earlier this month the justices heard oral arguments in the case that turns on the so-called no-free-lunch provision of the union contract in a school district near Anaheim, Calif. It requires teachers to pay a portion of the union’s dues even if they choose not to join. Several teachers sued, claiming that violates their First Amendment rights. Unions take political positions, the teachers noted, with which they might not agree. The plaintiff, Rebecca “Freeride” Friedrichs doesn’t even want to pay that trivial fee. So she was mysteriously discovered by a billionaire organization, the National Right to Work Legal Defense Foundation (NRTWLDF), according to PRWatch. “The NRTWC has deep connections within the national right-wing network led by the Koch brothers. Reed Larson, who led the national right to work groups for over three decades, hails from Wichita, Kansas, the hometown of Charles and David Koch. 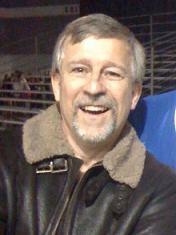 Larson became an early leader of the right-wing John Birch Society in Kansas, which Fred Koch (the father of Charles and David) helped found. Several other founders and early leaders of the NRTWC were members and leaders of the John Birch Society, specifically the Wichita chapter of which Fred Koch was an active member. One can rightly suspect the Koch Brothers and their buddies are going after public sector labor unions because those unions largely support Democratic Party candidates. On the national level, Koch Brothers rivals, such as billionaire hedge fund managers Warren Buffett and George Soros, largely control what the Democratic Party does legislatively. However, the result of this battle between billionaire titans is another nail in the coffin of the middle class, with the weakening of labor unions if Justice Kennedy decides in favor of the Koch Brothers, which means Rebecca Friedrichs has allowed herself to be just another brick in the wall of this never-ending struggle. Click here for more on the story from the New York Times. Dr. Robert Califf, the Obama administration’s choice for the next commissioner of the U.S. Food and Drug Administration (FDA), was easily approved by the Senate Health, Education, Labor and Pensions Committee Tuesday, but the candidate’s approval by the full Senate faces an unlikely hurdle: fish. Republican Sen. Lisa Murkowski of Alaska is threatening to block Califf over the FDA’s approval of genetically engineered salmon, or GMO salmon. Besides threatening to block Califf’s confirmation, Murkowski “helped insert language last month in a massive federal spending bill, directing FDA to prevent the AquaBounty product from reaching the U.S. market until regulators finalize labeling guidelines. It also tells the agency to spend ‘not less than $150,000’ on that effort,” The Washington Post reported. According to a new report by the Oxfam Institute, An Economy for the 1 Percent, the richest 62 people in the world own more wealth than the bottom 50 percent of the world’s population. According to Oxfam, “The gap between rich and poor is reaching new extremes. Credit Suisse recently revealed that the richest 1% have now accumulated more wealth than the rest of the world put together. billion people at the bottom half of humanity. This figure is down from 388 individuals as recently as 2010. 2. 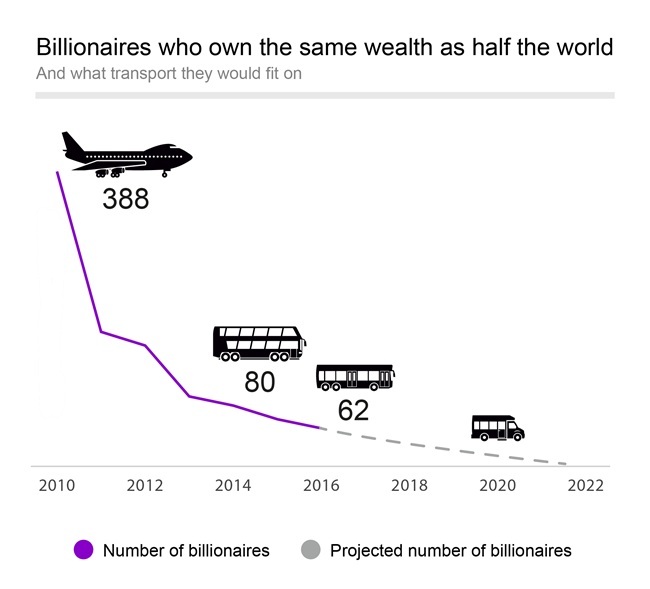 The wealth of the richest 62 people has risen by 44% in the five years since 2010–that’s an increase of more than half a trillion dollars ($542 billion), to $1.76 trillion. 3. Meanwhile, the wealth of the bottom half fell by just over a trillion dollars in the same period–a drop of 41%. 4. Since the turn of the century, the poorest half of the world’s population has received just 1% of the total increase in global wealth, while half of that increase has gone to the top 1%. The Oxfam report doesn’t mention everything the rich have been able to purchase with their ill-gotten robberies, such as both major political parties in the USA, as well as in most other nations. Most government regulatory agencies throughout the world, such as the USDA, and the Securities and Exchange Commission, have also been bought and managed by the 1 percent. This corruption of governments is precisely why President Obama and Wall Street Senator Ron Wyden want to continue to redistribute income and wealth from the 99 to the 1 percent, a process that has been ongoing in the United States since Ronald Reagan became president. Every US senator, President Obama, and most members of the US house of representatives know, or example, that the Trans Pacific Partnership (TPP) will force China to manipulate its currency vis-a-vis the US dollar by 15 percent, if this income redistribution agreement is rammed through congress. This will roughly double the profits of US corporations manufacturing things in China who happen to export these items to the United States, such as Dell, Microsoft, Nike, Adidas, Black and Decker, Gerber, and hundreds of others. By the same process, this will make US exports to China profit losers, costing millions of US export jobs. But this forced currency manipulation will also encourage US companies who manufacture things for sale in the USA, as well as for export to nations other than China, to export millions of US jobs to China. What Corporate Chief Executive Officer wouldn’t export whatever jobs they could to China if their profits would double by doing so? Every manufacturing job supports three other jobs, like the local waitress, teacher, plant manager, fire fighter, accountant, bookkeeper, retail clerk, plumber, contractor, and more. So that the exportation of say 5 million jobs will result in the loss of another 15 million. However, it is more than likely that the TPP will gut most of whatever is left of the US middle class by tens of millions. Right now, 50 percent of US adults are considered middle class, down from 61 percent in 1970. Within three years of the enactment of the TPP, only 30-40 percent, or less, of US adults will be considered middle class. And that’s how the rich get richer. When a corporation exports jobs, the difference between the old higher US pay and the new lower Chinese or Vietnamese pay goes straight into the pockets of the 1 percent via higher corporate earnings, rising share prices and surging dividends. The job losers might get several months of unemployment checks, if they’re lucky. In other words, the TPP is a massive scam to force US companies to ship millions of US jobs to China, and gutting what remains of the US middle class, in the process. Wall Street senator’s such as Ron Wyden, Orrin Hatch and Mitch McConnell, as well as President Obama, are 100 percent behind this scam. The TPP will make income and wealth inequality grow. That’s what it’s all about. That’s what is has been negotiated to do. The truth is that the big banks are not too big to fail. When Lehman Brothers died, not one member of the 99.9 percent was impacted in the slightest. However, the super rich have a massive financial stake in the banks, and they would lose their shirts if the banks were allowed to fail. 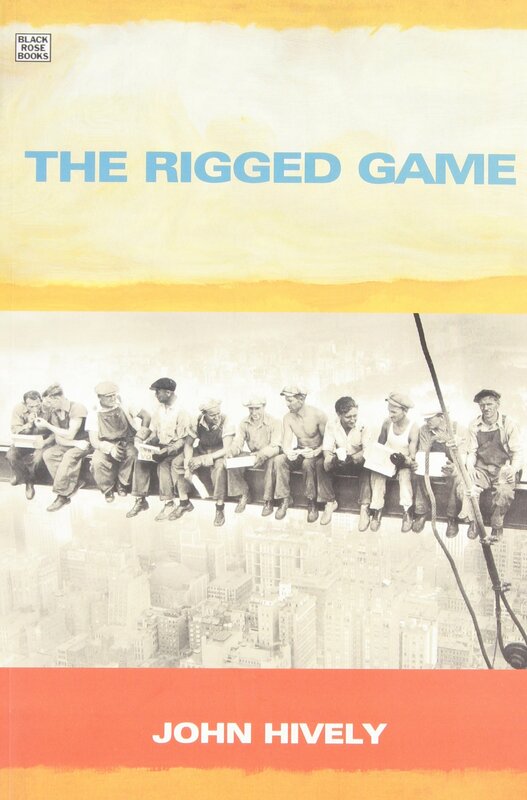 Using the “too big to fail” slogan means that the banks don’t need to be responsible for their bad decisions, and bad bets, and bad investments, and why should they? Especially when the banksters know the government or the Federal Reserve will bail them out instantly. This Depression-era law, which was repealed by Congress under President Bill Clinton, prevented commercial banks from investing in risky and arcane financial instruments, such as bundled home loans during the housing market bubble that predated the 2008 financial market collapse. 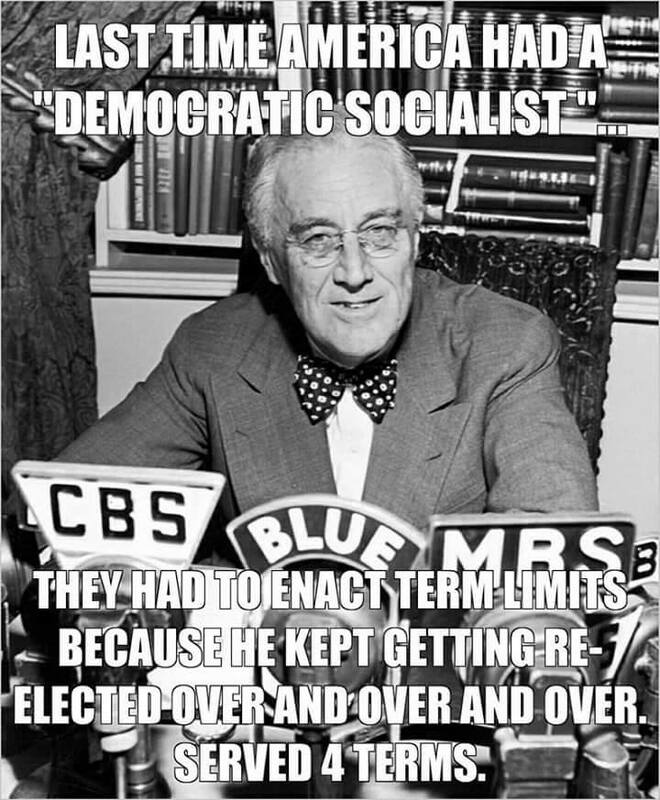 Now investment and commercial banks are merged, and the government couldn’t bail out homeowners, such as FDR did. Had they done so, homeowners would have renegotiated lower home prices that reflected reality. But the Obama regime couldn’t do that because an 8 percent decline in home prices effectively rendered the tens of trillions of dollars in home mortgaged backed bonds valueless. Instead, the government bailed out the banks, and the Federal Reserve bailed out the banks. But they really weren’t bailing out the banks; they were bailing out rich investors. Also see the video below. Sanders said that the government needs to run Wall Street, not the other way around, which he said is the reality today. He said that “equal justice under the law” means that banking and finance executives whose reckless gambles damaged people’s lives must face real criminal penalties including prison. What Sanders doesn’t mention is that large banks also have been caught engaging in drug money laundering for the Mexican banks. The US government has fined the banks, but never indicted any bank officers, not even when the banks have been caught committing this crime time and again. One of Sanders’ most incisive comments concerned Wall Street’s ways of doing business, which he said are based on intentionally ripping off average Americans and engaging in all kinds of unethical and illegal behaviors. He said the government must do more to penalize companies that routinely rip off the public and richly reward the executives overseeing that process. Sanders said he would appoint regulators who are not afraid to tackle this caldron of corruption. “I will nominate and appoint people with a track record of standing up to power, rather than those who have made millions defending Wall Street CEOs. Goldman Sachs and other Wall Street banks will not be represented in my administration,” like they will be in a Clinton, Trump, or any other Republican administration. Sanders said one of the keys of reforming Wall Street was ending its culture of financial speculation. He said he would do that by imposing a transaction tax aimed at high-speed, high-volume traders who are not investing “in the job-creating economy.” Those funds would then be used for cutting the cost of higher education. This was something first proposed in The Rigged Game: Corporate America and a People Betrayed. Sander’s notes that the ratings agencies committed fraud when it came to rating mortgage backed bonds. If the investment banks didn’t like the ratings of the liar loans they were purchasing from, say, Country Wide, then they simply went to a different ratings agency. For the ratings agencies, it’s either fraud or bust. This must end. Sanders doesn’t mention that just as there are tens of trillions of dollars of mortgage backed bonds issued by Wall Street Investment firms, such as JP Morgan and Goldman Sachs, the credit card debt backed bond market is a billion dollar industry. Capping interest rates charged by banks and credit card companies, and curtailing some of their fees, will bring the full might of an enraged banking/investing industry down around Sanders neck because what he proposes will undercut the value of credit card backed bonds, which is a trillion dollar plus industry. Sanders proposals might even send the value of the bonds to zero, which would be a good thing for the 99 percent, but a bad thing for the idle rich and their unearned income stolen from the 99 percent. Sanders said this arcame institution that regulates the flow of the U.S. currency and interest rates charges to banks must be reformed so that its primary purpose is serving the public, not private bankers. “When Wall Street was on the verge of collapse, the Federal Reserve acted with a fierce sense of urgency to save the financial system,” he said. “We need the Fed to act with the same boldness to combat unemployment and low wages.” What Sanders doesn’t mention is that the Federal Reserve is a private bank, and not a government agency. It’s primary goal is to ensure that the big banks are solvent and their profits and stock prices are rising, even at the expense of the American people.